An American and his woman wait at a train station in Ebrol. The man orders two beers for them, while they look out at the hills beyond the tracks. The woman comments that they look like white elephants. The man says he's never seen one and the woman agrees. They look at a sign for a drink called the Anis del Toro. They decide to order the drink. When told it tastes like licorice, she makes a passing reference to longing for absinthe. This gets the American to tell her to cut it out and insist they try to have a fine time. She comments that all they do is look at things and try new drinks. They continue to look at the hills. Finally, the man tells her that it's a simple operation that they just let in air. He assures her that he will be with her throughout. He assures her things will go back to normal and he says that it's the only thing that has bothered them. They both admit to knowing people who have had the surgery and are happy afterward. The woman gives in but explains that she's doing it but she's doing it for him. This concerns the American and he insists that she do it because she wants to. The woman walks to the end of the station in response to this. The man insists that they could have everything after the surgery but the woman says the world isn't theirs any more. She insists that it isn't. She asks to end the conversation but he keeps insisting that she understands that she do it for herself and that he does care for her. She threatens to scream and the waitress comes by to say the train will arrive in five mines. They go back and finish the beer. He asks if she feels better and she says she feels fine. 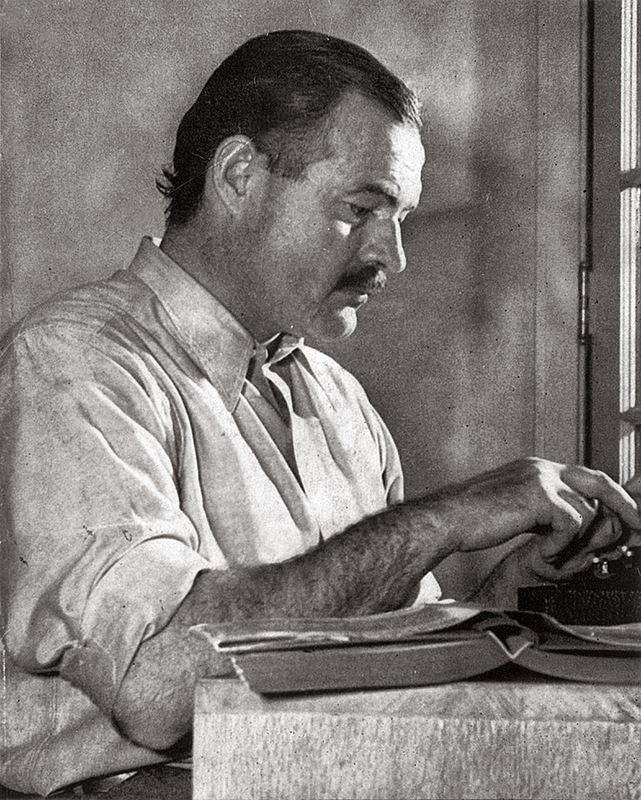 Nothing is quite what it seems, which is to be expected with Hemingway. This short glimpse into the lives of this couple gives us enough to know that they have little chance of survival in the long run and that she is uncertain about whether she will have the surgery (in all likelihood, an abortion) or not. The tension and angst is palpable within the story as we are interrupted time and again by the peripheral elements like drinks, scenery, etc.